Michael Hollingshead was born in Britain and studied philosophy. In 1960 he was living in New York, working as the executive secretary of the Institute for British American Cultural Exchange, when he ordered a gram of LSD from Switzerland under the pretext of using it for controlled studies. He mixed the LSD into a mayonnaise jar full of icing, making 5,000 one-teaspoon doses of 200 ug each. He had never tried LSD and, after his first strong experience, he contacted Aldous Huxley who suggested that he speak with Timothy Leary to discuss LSD's potential. In September 1961, he met Leary in Cambridge, and shortly thereafter he introduced Leary to LSD. He was invited to live in Leary's house as well as teach a course at Harvard. He participated in the Concord Prison Experiment with Leary, Cohen, and Meztner in 1962. For the next few years, he worked with psychedelic therapists, and lived at Millbrook with Leary and Alpert. His daughter, the comedian Vanessa Hollingshead, accidentally consumed LSD while they were living at Millbrook when she was five years old; she has commented, "I don't have childhood memories, I have flashbacks." 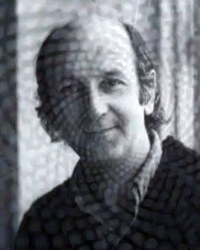 Hollingshead eventually ended up in London where he opened the World Psychedelic Center in 1965. At the Center, he sold copies of psychedelic books and continued to "spread the word" about LSD. 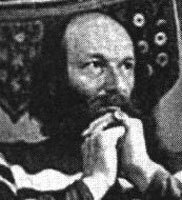 Some of the many people who Hollingshead is credited as having given LSD to include William Burroughs, John Lennon, and George Harrison; he is widely considered to be one of the "Johnny Appleseeds" of LSD.